'Ascension Thursday' by Stefan Kramar depicts Fray Juan de Padilla, who accompanied the Coronado Expedition. The first Christian missionaries came to Texas by way of New Mexico. This odd historical fact was the result of three influences: the goals of the earliest Spanish explorers, the geography of New Spain and the Spanish sense of responsibility for spreading the faith. That the religion was introduced from the west is odd because other development of Texas – social, economic and cultural – came from the east and south. Spain's early goals in the Southwest were primarily materialistic, and the search for wealth resulted first in the Coronado expedition of 1540-42. Considering the context of the times, it was not far-fetched to believe that immense wealth was over the horizon. The Inca Empire of Peru had been conquered a mere seven years earlier. The Incas ruled the second grand system of civilization the Spanish had encountered in the New World. The first, the Aztecs, was conquered in 1519-22. Then came bits of evidence of a possible third indigenous "empire" north of Texas. The reports included mention of people who lived in houses. The physical evidence included samples of fine woven cloth, as well as a few gemstones and metal objects. Of course, the Pueblo people of northern New Mexico, as it turned out, did not possess the kind of wealth Spanish explorers sought. But, there Spain was. Abandonment of the area was not conceivable. This was because of Spain's sense of Christian mission that came out of their own peculiar history. It is beyond our purposes to go into that history in this article, except to say the Spanish were a crusading society, and they had acquired a keen sense of responsibility for all peoples to receive the Santa Fe (Holy Faith). Unlike the English and French colonizers who wanted the Indians just to get out of the way, the Spanish were continuously wrestling with dual and conflicting impulses toward the Indians – greed and charity. The greed for new wealth was witnessed mostly in the soldiers and civilian explorers, who often exploited the Indians as labor. The protective missionaries, some say overly protective, bore evangelistic charity toward the native people, wishing to instruct them in the new faith but also to teach them crafts and agricultural techniques through the elaborate mission system. With the pursuit of wealth a dashed hope, the Spanish religious mission became the primary catalyst for policy in the Southwest for the following two centuries. The Franciscan order was given the job of teaching the Indians, and before 1690, when the Spanish turned their interest to East Texas, there was much activity in West Texas in spreading the Christian faith. The geography, especially the layout of the river systems, was the third element that influenced where and when different tribes received the missionaries' message. New Spain's northern frontier by the 1570s had reached mining areas around Santa Bárbara at the headwaters of the Río Conchos (see map). From there, movement along the Conchos to its junction (La Junta) with the Rio Grande provided an avenue for travel northward. La Junta de los Ríos became an important stopover on most excursions. It had been a settled farming area since 1500 B.C. and in the late 1500s A.D. it was the home to several different Indian groups. Nancy Parrot Hickerson, in her study of the Jumano Indians in the region, says there were eight villages at La Junta on both sides of the Rio Grande, some of them with more than 2,000 people. In 1598, Juan de Oñate led the entrada through El Paso del Norte that began the colonizing of New Mexico. The Spanish founded the first settlement and mission near present Española. In 1610, the capital of New Mexico was moved to Santa Fe. As the New Mexico base became established with the arrival of more Franciscans at the Isleta monastery (at least 53 between 1612-1629), there was a burst of missionary activity in all directions. This mission came on the pleadings of the Jumanos who showed some familiarity with Christianity, all sources agree. Believers hold that the Indians encountered a mysterious "Woman in Blue" who spoke to them in their languages and told them to seek further religious instruction (see Lady in Blue). Skeptics say it was the weaker tribes' fear of the encroaching Apaches that spurred their interest in Spanish protection. A second mission to the Plains Jumanos occurred in 1632. Sources disagree on whether Fray Juan de Salas participated or merely directed it, but all agree the second mission was to the Colorado-Concho area near present-day San Angelo. In 1630, there was a brief attempt for a mission in the El Paso area to serve the primitive Mansos Indians. Around 1656 there was a second attempt there, and finally a successful and permanent mission in 1659. In 1674-1675, there were brief forays from Monclova in Mexico. These occurred near Del Rio and Eagle Pass and were efforts to reach tribes who had crossed the Rio Grande from missions in Coahuila. On Aug. 10, 1680, the Pueblo Uprising began in New Mexico, and within weeks the 2,000 Spanish colonists were forced to flee to El Paso. After decades of enduring inept and sometimes malicious governors, the Indians established an alliance strong enough to successfully revolt. There had also been overzealous missionaries who prohibited Indian customs and ceremonies they deemed pagan and diabolical. When the Spanish refugees arrived at El Paso del Norte, they camped in what were thought to be short-lived settlements. Instead, it would be twelve years before they were to return to Santa Fe. In the meantime, the Spanish established a government-in-exile in San Lorenzo a short distance down river from the El Paso mission. And, for the Indian allies who had fled with them, settlements and missions were established that still exist today at Ysleta and Socorro. In 1683, some of the missionaries from El Paso moved down river to establish other missions for La Junta. Also in that year, Juan Domínguez de Mendoza led an expedition that returned to the area near present San Angelo, first reached in 1629-32 by Salas. In all, some 32 Franciscans worked to advance the Christian faith into West Texas before the emphasis switched to East Texas and later still to the area around San Antonio. The Rodriguez-Sánchez expedition, on of the earliest, took a route northward that was followed by many later travelers (dashed line). The circled letters on the map indicate locations where the friars worked. Following are listed the Franciscans connected to ministry in Texas before 1690, grouped by expedition. The letters following in parenthesis indicate locations where they worked. Sources are also named (NHB, [New Handbook of Texas], etc). A complete list of sources follows. Padilla and his companions set out for the buffalo plains. Some accounts claim that they followed the Canadian River as far as the area of present Hutchinson and Roberts counties before turning north to Quivira, where they were warmly received by the natives. After working in the area about two years, Padilla, with companions, wanted to expand their ministry to neighboring tribes in unexplored territory. SALAS, Fray Juan de. Franciscan, came to New Mexico in 1613 or 1622 and founded Isleta mission, near present Albuquerque. Benavides says Indians had special fondness for Salas. In 1629 Jumano Indians went to the monastery and asked for religious instruction, stating that they came at the request of the "Woman in Blue," María de Ágreda. It was while they were living on a stream which the Spaniards called Noeces or Nueces that they were visited by María de Ágreda. This river, erroneously thought to be the Arkansas, has definitely been identified with the present middle Concho, in Texas...Salas and Father Fray Diego López [set out] with a guard of three soldiers...guided on this occasion by the friendly delegation that had come to seek for them ... going approximately 300 miles east-southeast from old Isleta.— Castañeda. [Salas and companions reached] southwest Texas where they were welcomed by a large band of Indians, who claimed they had been advised of approaching Christian missionaries by the Woman in Blue. Although no permanent mission was set up among the Jumanos, in 1632 Fray Ascencio de Zarate and Fray Pedro de Ortega lead a follow-up expedition to the same locale. – Chipman. A senior and much respected priest must have been in attendance at  meeting ... [where] Jumanos requested missionaries because, says Benavides, they were influenced by the virtuous reputation of the Franciscans, and they acted out of a special fondness for Fray Salas. ... [who] would have understood (the Jumanos) situation. Salas had worked among the Tompiros and Jumanos in the Salinas (in New Mexico) for many years ... He had a reputation for skill with native languages and had become acquainted with Jumano leaders such as Captain Tuerto. Benavides indicated ... Salas was eager to undertake the mission. ... [Plains Jumanos] optimal location near Canadian, Red and Brazos suggests possibly a protected site in a canyon or barranca such as Palo Duro Canyon. ... After an indefinite period of time – a month at most – during which they worked at catechizing, erected a large cross, conducted healing sessions, and met with the ambassadors from neighboring tribes, the priest departed....it was evidently their intention to return. – N. Hickerson. (C) [or A,B, according to Hickerson]. LARIOS, Fray Juan. On April 30, 1675, Fernando del Bosque, Fray Larios, and company set out from the mission of Nuestra Señora de Guadalupe, at present Monclova, Coahuila. ... On May 11 they reached the Rio Grande, probably below present Eagle Pass. Bosque took formal possession of the river, erected a wooden cross, and renamed the river the San Buenaventura del Norte. On May 15, the expedition was met by several Indian chiefs, who asked the missionaries to come to teach and baptize their followers. The oath of allegiance to the king was administered to all the Indians, a portable altar was set up, and Mass was celebrated. In all, the Spaniards traveled 40 leagues past the Rio Grande and made six halts in south central Texas. On May 25 they reached a site in Edwards County that they called San Pablo Hermitano. They returned by a northerly route to Guadalupe, where they arrived on June 12; there Bosque made a formal report to Antonio de Balcárcel. The latter recommended that three mission districts be established, including land and Indians north of the Rio Grande. LÓPEZ, Fray Nicolas. Was custodian of the missions in New Mexico in 1680 when the Indian revolt drove the Spanish back to El Paso. ... with Fray Juan de Zavaleta and Fray Antonio Acevedo established two missions at La Junta, La Navidad en las Cruces and Apostol Santiago, in December of 1683. 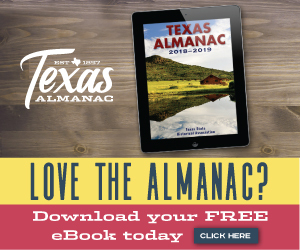 — written by Robert Plocheck, associate editor, for the Texas Almanac 2004–2005. • Ashford, Gerald. Spanish Texas: Yesterday and Today , Jenkins Publishing Co., Austin and New York, 1971. • Bannon, John Francis. The Spanish Borderlands Frontier 1513-1821 , University of New Mexico Press, Albuquerque, 1974. • Boxer, C.R. The Church Militant and Iberian Expansion 1440-1700 , Johns Hopkins University Press, Baltimore and London, 1978. • Castañeda, Carlos E. Our Catholic Heritage in Texas 1519-1936 , Von Boeckmann-Jones Company, Austin, 1936. • Chipman, Donald E. Spanish Texas 1519-1821 , University of Texas Press, Austin, 1992. • Habig, Marion A. O.F.M. Spanish Texas Pilgrimage: The Old Franciscan Missions and Other Spanish Settlements of Texas 1632-1821 , Franciscan Herald Press, Chicago, 1990. • Hickerson, Nancy Parrott. The Jumanos: Hunters and Traders of the South Plains , University of Texas Press, Austin, 1994. • Simons, Helen and Cathryn A. Hoyt, eds . Hispanic Texas: A Historical Guide , University of Texas Press, 1992. “The Spanish Missions in Texas” by Robert S. Weddle. • Sonnichsen, C.L. Pass of the North I-II , Texas Western Press, El Paso, 1968. • Syers, William Edward. Texas: The Beginning 1519-1834 , Texian Press, Waco, 1978. • Weber, David J., ed. New Spain's Far Northern Frontier: Essays on Spain in the American West 1540-1821 , University of New Mexico Press, Albuquerque, 1979. • New Handbook of Texas , Texas State Historical Association, 1996, various. • Journal of Texas Catholic History and Culture , Texas Catholic Historical Society, 1992. “The Legacy of Columbus: Spanish Mission Policy in Texas” by Félix D. Almaráz Jr. “Before They Crossed the Great River: Cultural Background of the Spanish Franciscans in Texas” by Kieran McCarty O.F.M. • Archdiocese of San Antonio, 75th Anniversary. • National Park Service, Washington, D.C.
• Texas Historical Commission, Austin.